Previously you had a chance to see our recommendations for the top 10 abdominal exercises without equipment and top 10 abdominal exercises with equipment. 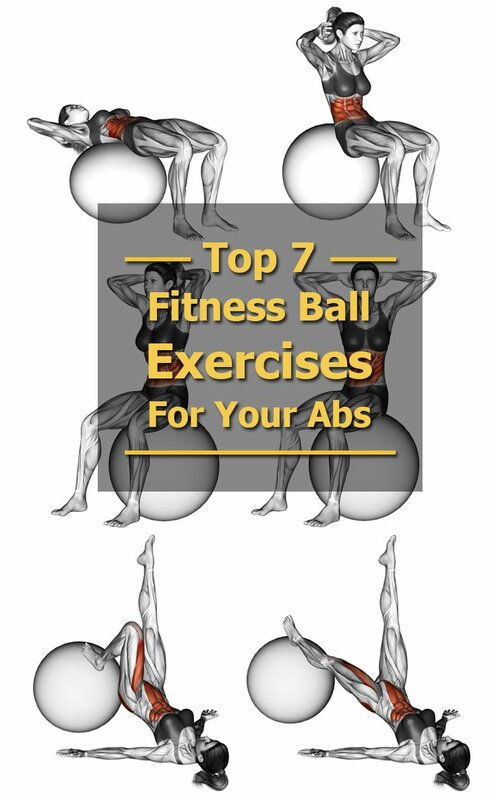 This time around we turn to the top exercise ball ab workouts (also known as a Swiss Ball, or stability ball). 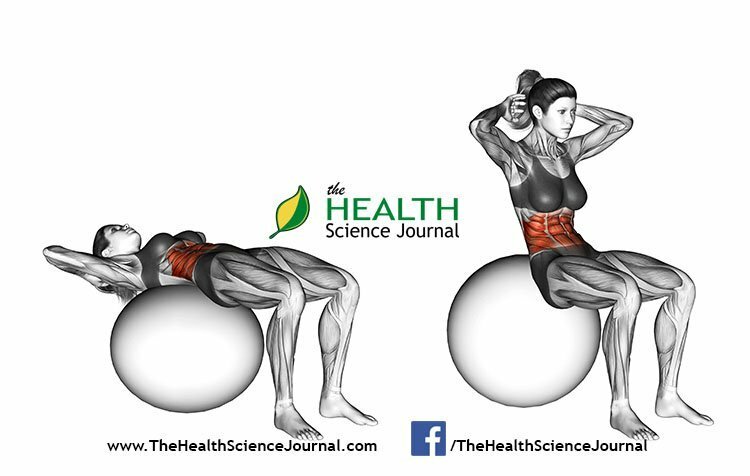 The primary benefit of doing stability ball ab exercises as opposed to exercising directly on a hard flat surface is that the body responds to the instability of the ball to remain balanced, engaging many more muscles. Those muscles become stronger over time to keep balance. 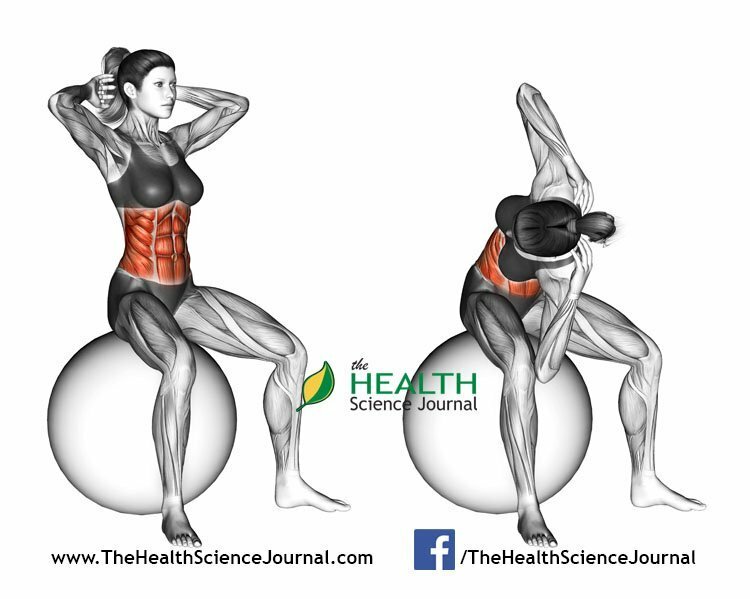 Therefore, the core muscles — the abdominal and back muscles — are the focus of most Exercise ball workouts. A major benefit of using an unstable surface is the ability to recruit more muscle units without the need to increase the total load. An unstable surface increases activation of the rectus abdominis and allows for greater activity per exercise when compared to a stable surface. Performing standard exercises, such as a push-up, on an unstable surface can be used to increase activation of core trunk stabilizers and in turn provide increased trunk strength and greater resistance to injury. All the exercises illustrated here are come from our 66 abs exercises guide shown in Part 1 and Part 2. Please visit those original articles for specific instructions on how to perform all exercises. You can find a link at the end of each exercise. 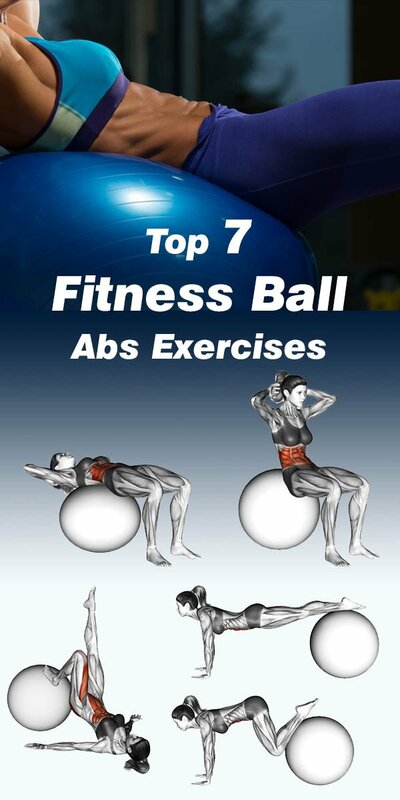 By adding a Fitness ball to your abs workout you can improve the effectiveness of your routine. A study at the Department of Kinesiology at Occidental College, Los Angeles, found that Fitness ball crunches improved the flexing of abdominal muscles by 24-38% over regular crunches. Instructions: Part 1, Exercise #13. 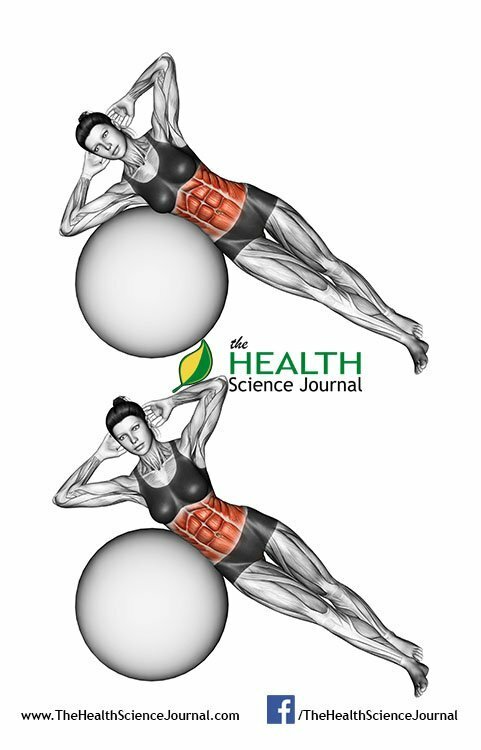 The side crunches on a stability ball is a top exercise that can truly isolate your obliques. Not only does the stability ball keep you in the correct posture, but also helps you to maintain proper form and improves your balance. Instructions: Part 1, Exercise #14. The Windshield Wipers exercise can really wake-up your core. The transverse abdominis (a muscle which provides stability to the spine), the external and internal obliques all work to aid your core in rotating and moving the stability ball to the sides. The rectus abdominis has a crucial role is stabilizing the body and helps with flexion at the hips. By shortening and/or elongateings the angle at the hips and the distance between the core and the thighs, the Windshield Wipers strengthen this important muscle. Instructions: Part 1, Exercise #15. The jackknife with a stability ball is a very interesting exercise. Note that the only way to contract dynamically the rectus abdominis and obliques is by actual waist flexion. When there is no waist flexion, these muscles only act as pelvis and waist stabilizers during hip flexion. However, even if dynamic contraction is not achieved during hip flexion, abdominal muscles isometrically active by keeping the spine straight. Hence the Jackknife earns a place in our top. Instructions: Part 2, Exercise #46. One leg extension on a stability ball incorporates a more advanced element in a basic leg exercise. As a result of that, there are several different elements into play. The movement requires balance, agility and core stability. You’ll have one leg extended in the air while maintaining a straight back and using actively the other leg to move the ball. Instructions: Part 2, Exercise #47. 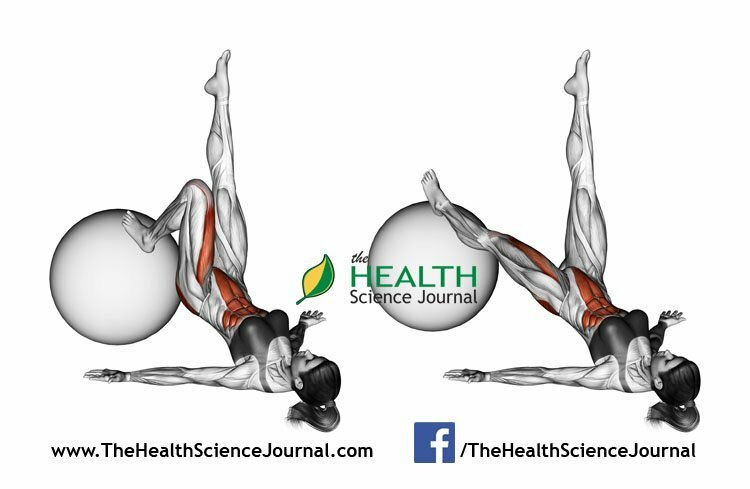 The raised legs crunch with a Fitness ball is a modification of the raised legs crunch, with one important difference. In this exercise, your legs are not static, but have to work actively to raise and lower the ball. This creates a much bigger challenge for your core muscles and legs, having to work harder on the ball movements while maintaining a balance. Instructions: Part 2, Exercise #48. Sitting on an Exercise ball can improve your stability and balance because doing so constantly engages the core abdominal muscles. As a result, stronger ab muscles support the spine better, protect your lower back and improve posture. If you are doing Twists, let them be on an Exercise ball. 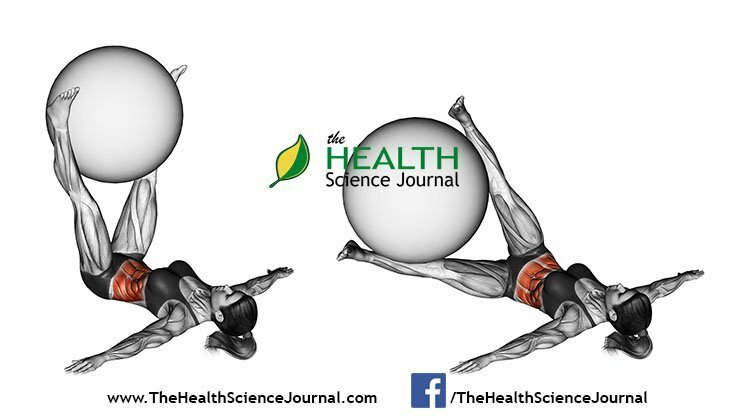 You can further increase the challenge by holding a medicine ball in extended hands while going from side to side. Instructions: Part 2, Exercise #49.